Depart at 17.30 pm Total walk length: circa 6 km (4 miles) Return: circa 19.30 hours No booking required for this walk, just turn up. 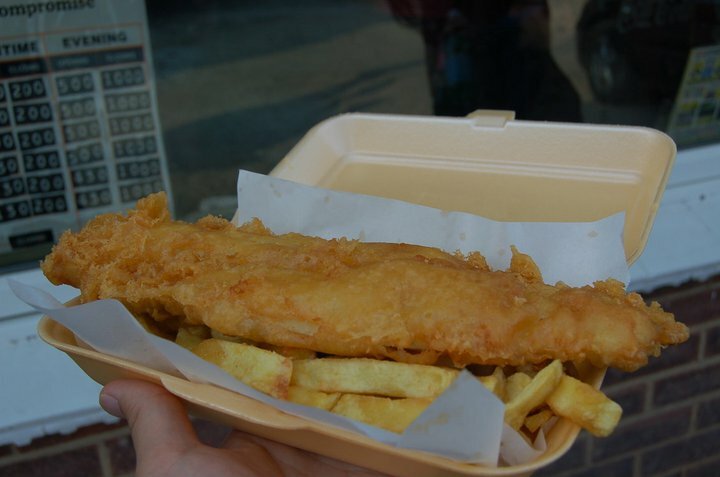 Fish & Chips: cost under £5.50 Please wear appropriate footwear – it may be bit muddy. Have a look at this website on the day of the walk to see if there’s an update. If you are free on Wednesday evening, why not join us for a walk to Cranfield village, using the public footpath ? The footpath from Cranfield University to Cranfield village circumnavigates the airfield. We will be stopping at a local take away for some fish & chips and the local Co-operative store, before having a picnic in the fields. The Walking Society “Cranfield University Walks“, as part of its aims, serves to raise awareness amongst Cranfield University students about the existence of the footpath to Cranfield village – especially at the time when the latest CSA presidential candidate claims in the CSA Election Booklet (available for download from the university’s intranet main page) there is no footpath from Cranfield University to Cranfield village at all. Voting for new CSA President and International Students Officer will take place on Thursday 3rd May from 10am-5pm in the CSA Foyer, Cranfield campus. This entry was posted in Blog, Walks and tagged awareness raising, Cranfield airport, Cranfield sudents, Cranfield University, Cranfield village, CSA elections, evening walk, fish & chips, footpath to Cranfield village.